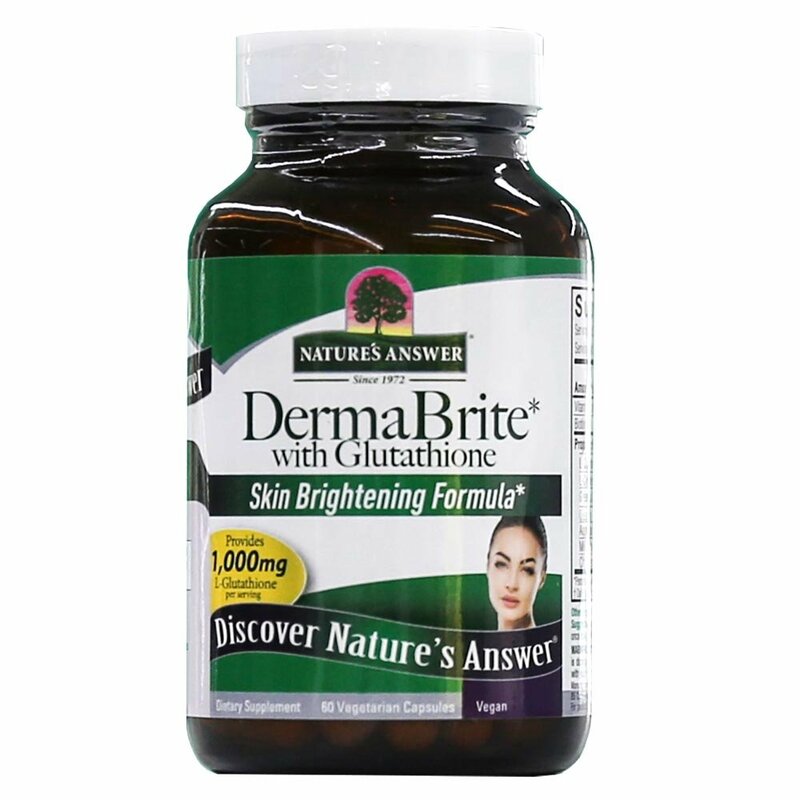 Natures Answer DermaBrite W/ Glutathione V-Cap 60's contains 1000 mg of L-Glutathione that provides antioxidant and skin whitening effect to the body. It helps to detoxify liver for proper metabolism. As a dietary supplement take two capsules once daily, preferably with water.